Blue glasses frames stand at the very height of urban fashion. No matter the shape, the hue’s versatility makes glasses in their color stylish and suitable for a wide range of situations. Not convinced? 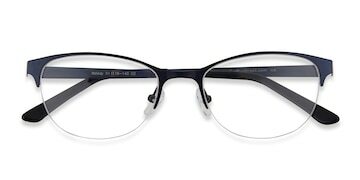 Darker blue glasses frames match almost any outfit, due to their similarity to the color black. 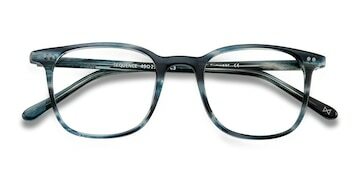 Light blue frames, however, carry a kind of eccentric charm that few other colors can replicate. If being blue is wrong, we don’t wanna be right. 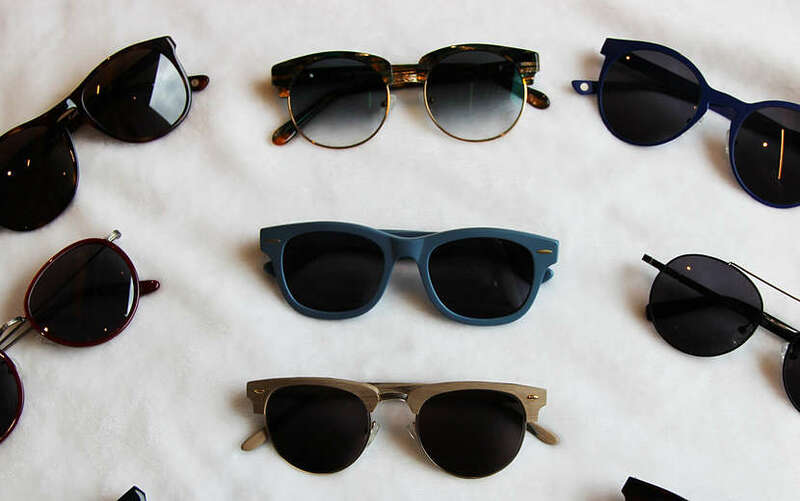 Regardless of what kind of style you have, a solid pair of blue glasses frames will never fail you. Just look at Sequence in Ocean Tide. 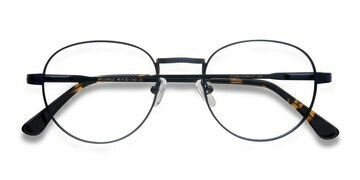 This sleek twist on the traditional rectangle frame holds mysterious charm and modern flair in spades. It’s subtle lines and square shape are perfect for round faces, and the unique blue and gray alternating stripes are vogue as can be. From sky blue to deep sea navy. From lovely turquoise to elegant blue florals. At EyeBuyDirect, the different shades of blue glasses frames available to you in our catalog is unbeatable. To search up a fashionable list of our best blue glasses, all you need to do is head on over to our glasses catalog. Once you’re there, just click on the “Color” tab and select “blue”! 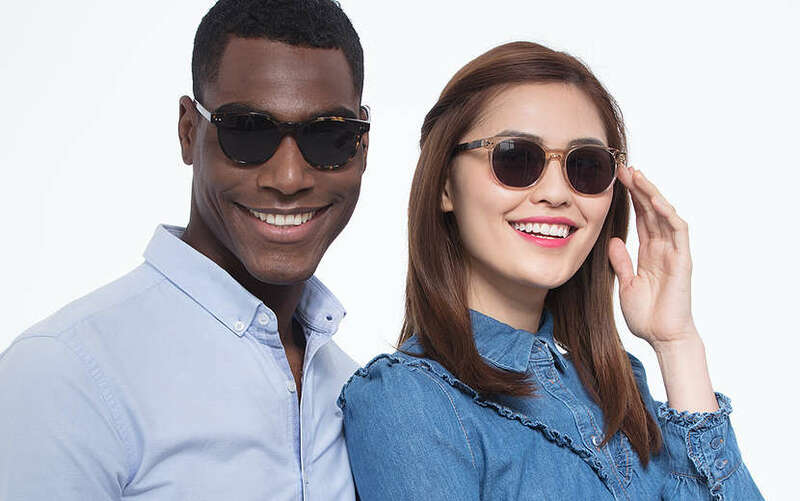 You’ll then be greeted by a selection of EyeBuyDirect’s entire selection of blue glasses styles. Looking for an awesome retro look? We recommend Belleville in Navy. For a look that’s more feisty and diva-ish, Melody is a look that won’t disappoint. In these mundane times, people often choose “safe” clothing choices to go about their day-to-day life. While that’s all nice and comfortable, playing it safe can get super boring after a while! 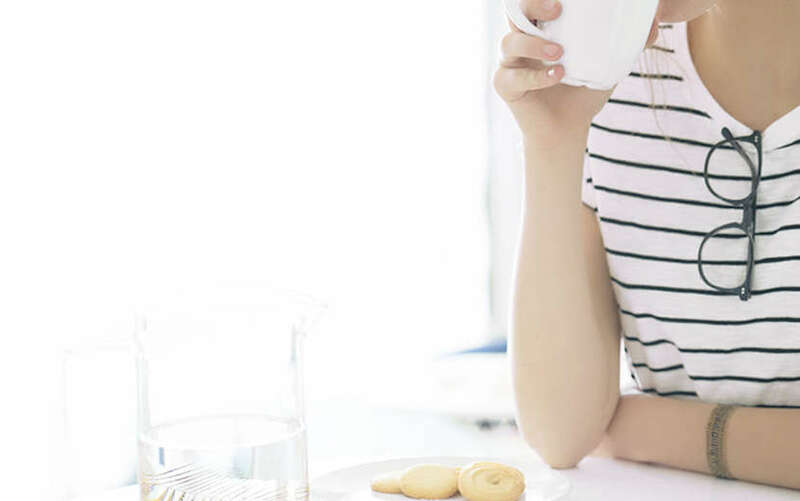 Revamping your sense of style is easier than it seems. Not many people know that all it takes is a little pop of color to refresh your entire wardrobe. 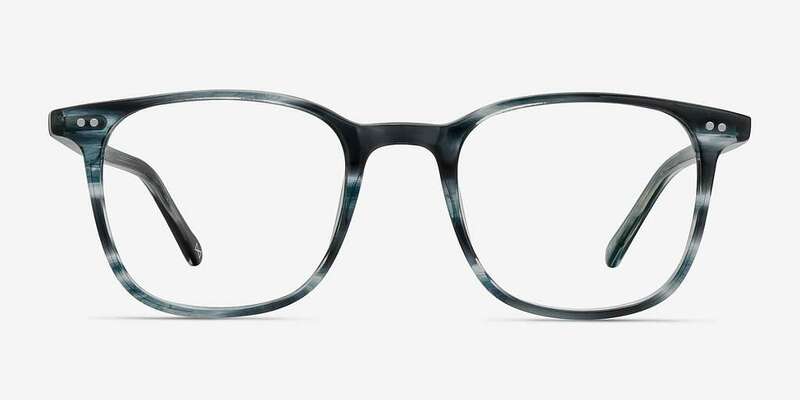 EyeBuyDirect’s got all of the blue glasses styles you could want, all at extremely affordable prices. With frame prices as low as $9, you can switch your glasses as often as you switch your shoes! So what are you waiting for? Take a dive into the deep blue.